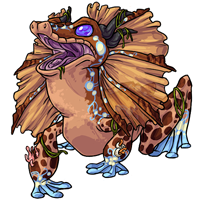 Drell the Hydrus Xotl has won the Pet Spotlight! YESSSS! I love seeing ME pets! Congrats! YEEEES im so happy thane won !!! congrats, tali! Didn't read the story (THANK YOU for the spoiler warning) but the profile is cool, and the choice of pet is perfect. Great job.